Shipping World Wide from New Zealand. Size Unisex Large Sold Out. Every great adventure needs a treasure map - and this is a map to the greatest treasure of them all. 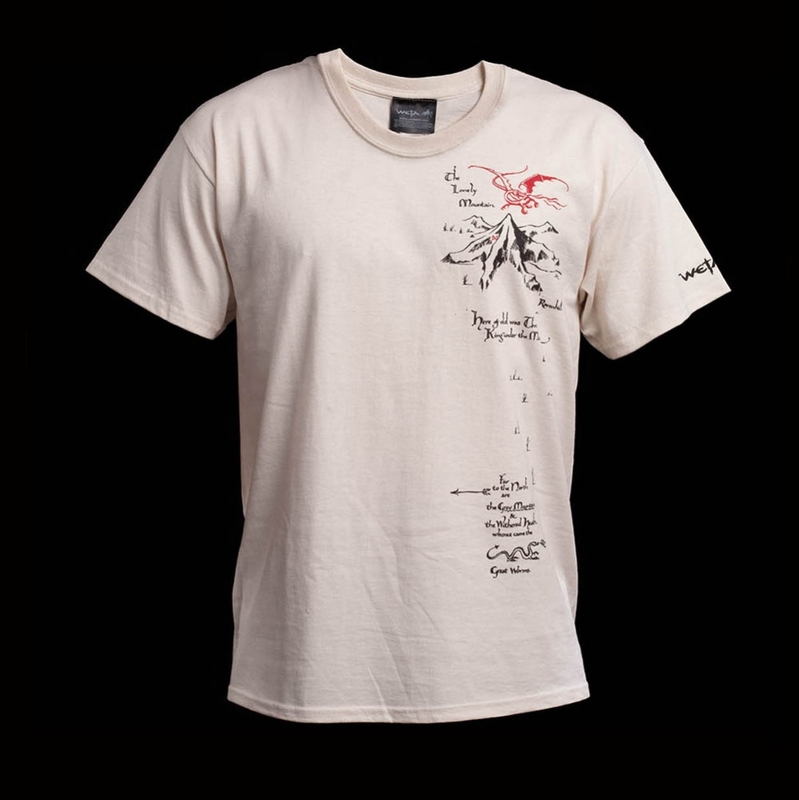 Cream coloured T-shirt with a part of Thorin's Map printed on the left-hand side of the shirt and the logo of The Hobbit: An Unexpected Journey printed in red on the nape of the neck. Size Large temporarily out of stock. The left sleeve has the Weta logo.